With Fleet Management, you will get a firm grip on your vehicle fleet, enabling you to make substantial savings as well as track every movement of a given vehicle. Whether your fleet is large or small, you will want to be able to deploy those vehicles on the road as efficiently as possible. 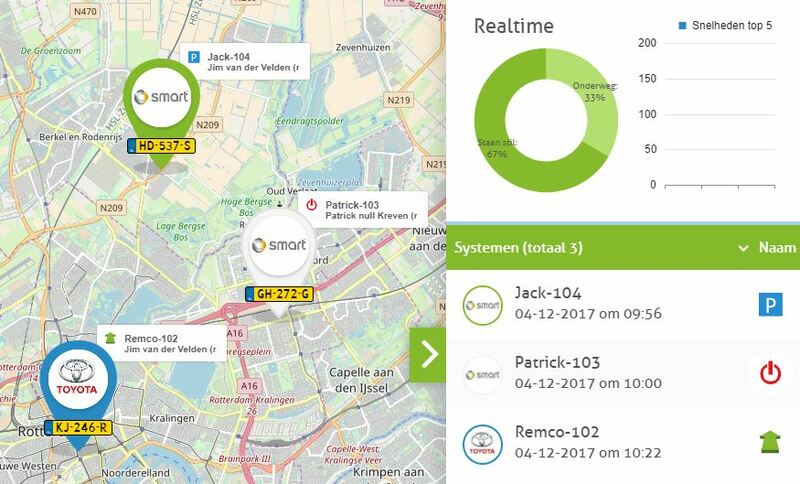 Via convenient Fleet Management tools, TrackJack provides you with insight into your fleet, allowing you to coordinate your management with your employee work times, private-business car use, effective and efficient scheduling and a correct kilometre logging system for tax purposes. 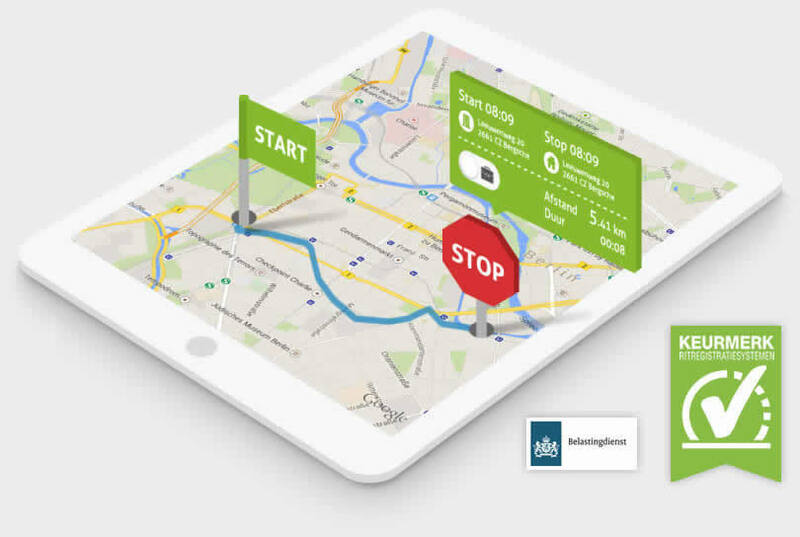 You will have full control over your vehicle fleet with a variety of fleet management tools, providing you with insight into the location of your staff, private-business vehicle use, the number of hours your staff are on the road, the distances driven, and more. 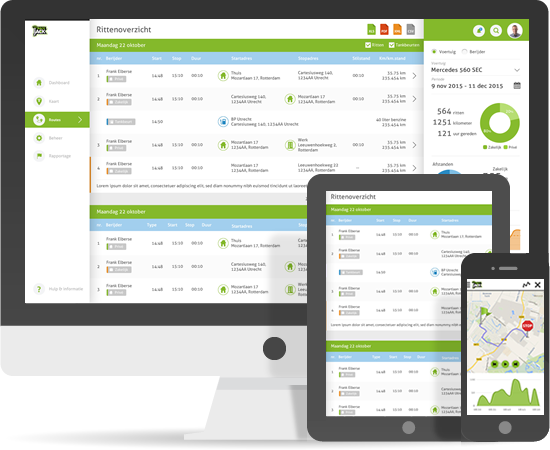 Insight into locations, routes driven, time recording and mileage reporting. Automatic Kilometre logging of the vehicles. Quality Mark for Tax Purposes, recognised by the Tax and Customs Authority. Managed via a personal online account and smartphone app. No long-term contracts or high subscription charges. With an online account, you can manage the vehicle fleet from any location of your choosing with an Internet connection. You will always be up to date, and need not be concerned with software installations or licences. 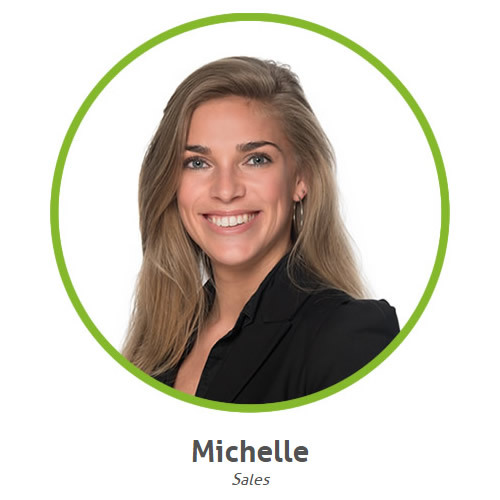 Multiple persons can login simultaneously and you can create various administration layers so that each department/staff member logs in to their own account. 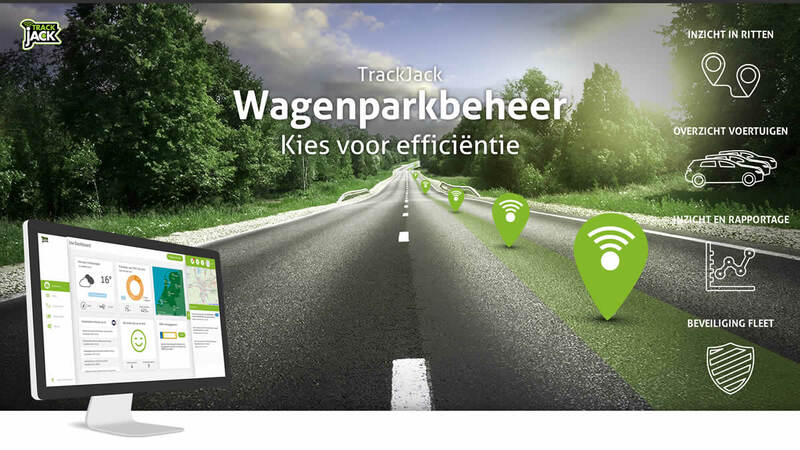 And if you are on the road, you can use the TrackJack app to ensure you always have all data at your fingertips. You will always be able to see the locations of your vehicles/staff members. You can zoom in to street level or have the route calculated to the next address. 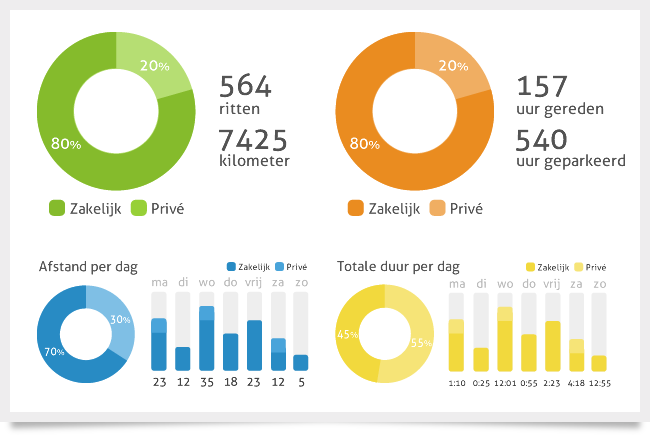 One of the fleet management tools is a complete kilometre recording of the vehicles. This registers the following: the start address, stop address, times, the route driven, speeds during the trip, the number of kilometres driven and the final position of the odometer. Everything precisely according to Tax and Customs Authority requirements, confirmed by the Quality Mark for Kilometre Registration Systems. Driver identification registers which driver has driven when. 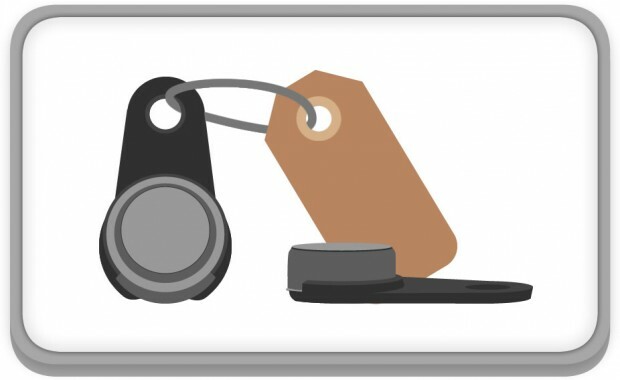 Each driver is assigned their own ID key which they scan in the vehicle as soon as they are ready to depart. Should the driver forget to scan their ID, a bleep sounds to remind them to do so. 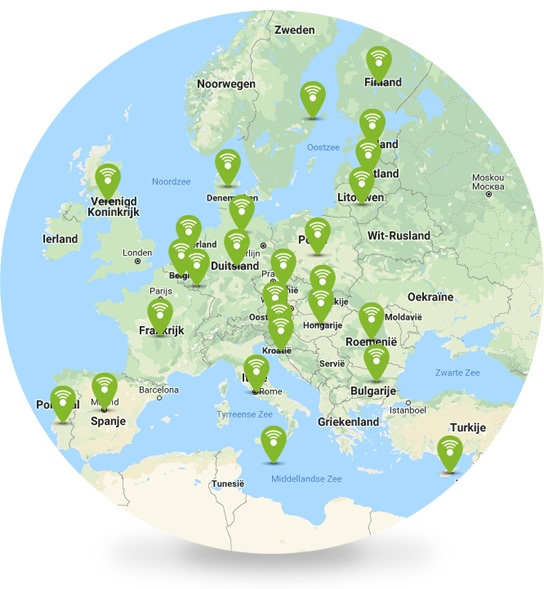 Because your fleet movements will not be limited to the Netherlands, you will have coverage within all 28 EU countries, without additional costs. Moreover, the system is provider- independent. For example, if KPN suffers a disruption of service, the system will immediately switch to another provider so that it always remains in operation and can continue transmitting locations. In collaboration with Multi Tank Card, we can let you link your fuel card with the mileage report. 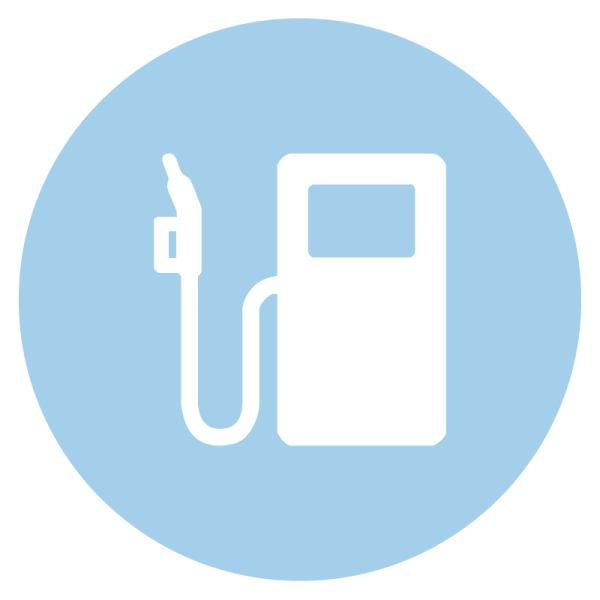 This automatically shows refuelling stops in the kilometre registration reports. And you use the accounting package of Informer? This will also let you link the accounting to the kilometre registration. We work with professional and experienced engineers who will take care of the installation at any location in the Netherlands. 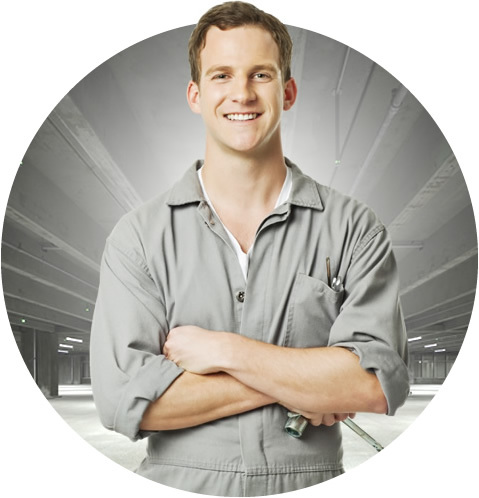 This means we can carry out the installation at your office location, but also at any other location where the vehicle in question may be. All you need to do is indicate your wishes, and our planning department will do the rest. Convince yourself or request a quotation without any obligation. You will be pleasantly surprised by our rates.